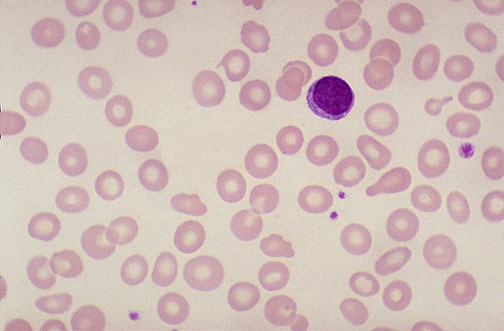 Note the larger zones of central pallor in these small RBCs, along with poikilocytosis. The most common cause for a hypochromic microcytic anemia is iron deficiency. The most common nutritional deficiency is lack of dietary iron. Thus, iron deficiency anemia is common. Persons most at risk are children and women in reproductive years (from menstrual blood loss and from pregnancy). Question: What are some dietary sources of iron? Answer Meat from animals has iron in heme, which as ferrous (Fe++) is readily absorbed. Vegetables such as beans, peas, broccoli, spinach, and potatoes are good sources, and vitamin C increases absorption. Many breakfast cereals are enriched with iron.